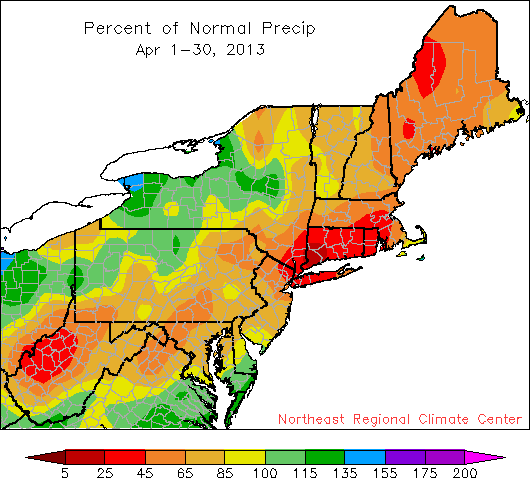 While some areas saw near-normal precipitation, most areas were dry during April. 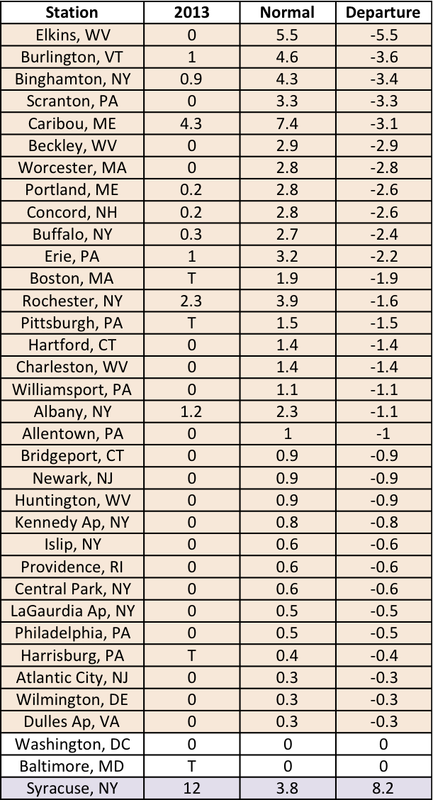 April showers were lacking in the Northeast as 32 of 35 first-order climate sites wrapped up the month with below normal precipitation. 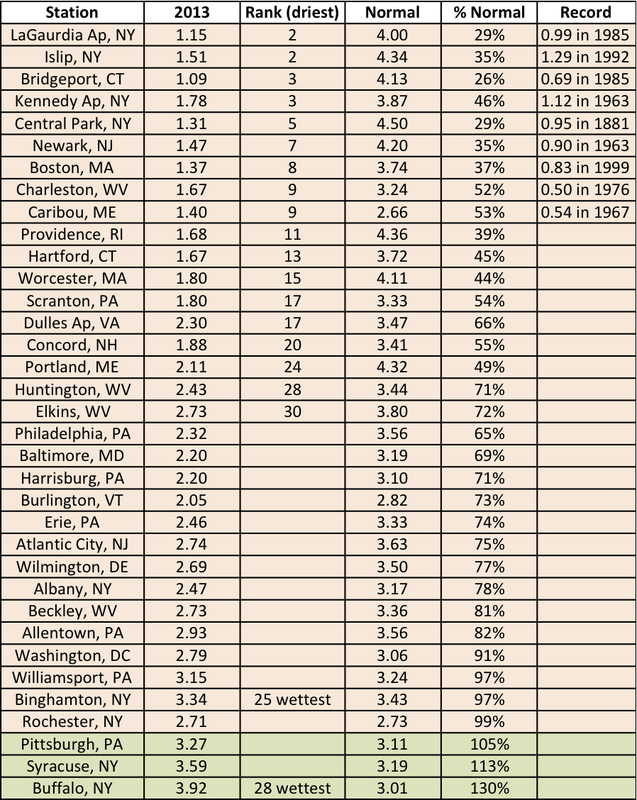 In fact, 18 sites ranked this April among their top 30 driest. The prolonged dryness in southern New England led to the expansion of abnormally dry conditions into that area last week. 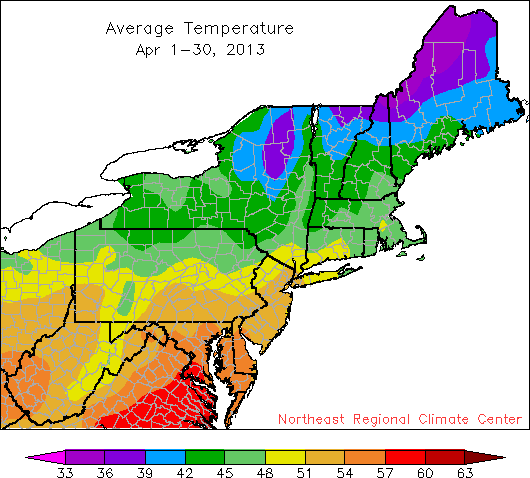 April average temperatures generally ranged from 33°F to 57°F, with many spots within 1-2°F of normal. There was also a lack of snow during April as 32 sites received below normal snowfall for the month. Syracuse, NY, was the lone snowy spot. Receiving an extra 8.2 inches, the city had its 4th snowiest April since recordkeeping began. As for temperatures, most first-order climate sites ended the month within 1 degree of normal. 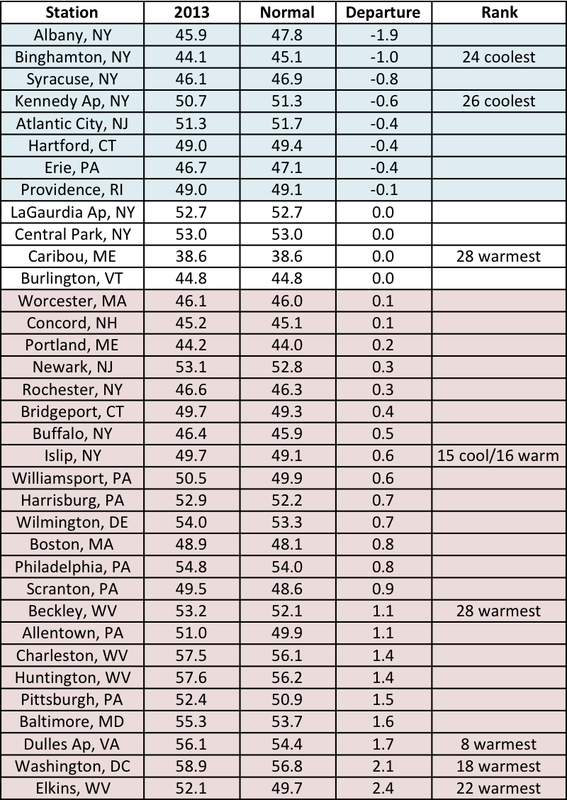 While 23 sites were warmer-than-normal, 4 sites were at normal and 8 sites were cooler than normal.